The idea of "skip counting" in one place is useful for teaching place value, focusing attention on values in each place. Counting in 1s in numbers to 20. Finding numbers before and after. Skip counting in 2s and 5s in numbers to 20. Finding numbers 2 and 5 before and after. Counting in 1s to 99. Finding numbers before or after. Counting in 2s to 99. Finding numbers 2 before or after starting from any number. Counting in 5s to 99. Finding numbers 5 before or after starting from any number. Counting in 10s to 99. Finding numbers 10 before or after starting from any number. 2pp. Features and functions of the Odometer Gadget: Count in 1s, 2s & 5s in any place up to millions and down to thousandths. Click the up or down arrow to show how the numbers in each of the places change. 4pp. Steps invloved in teaching numbers to 99. Strategies and pointers to note. 9pp. Counting forwards to 99 using the Easy Place Value Gadget. Lesson plan, templates and worksheets. 9pp. Counting backwards from 99 using the Easy Place Value Gadget. Lesson plan, templates and worksheets. 6pp. 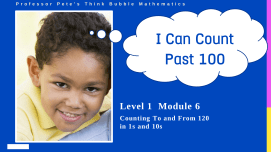 Worksheets counting forwards and backwards to 99 in ones. 6pp. Counting forwards 99 in 2s using the Easy Place Value Gadget. Lesson plan, templates and worksheets. 6pp. Counting backwards 99 in 2s using the Easy Place Value Gadget. Lesson plan, templates and worksheets. 6pp. Counting to 99 in 2s, odd numbers, using the Easy Place Value Gadget. Lesson plan, templates and worksheets. 6pp. Worksheets counting forwards and backwards to 99 in 1s and 2s. 6pp. Counting forwards 99 in 5s using the Easy Place Value Gadget. Lesson plan, templates and worksheets. 6pp. Counting backwards 99 in 5s using the Easy Place Value Gadget. Lesson plan, templates and worksheets. 6pp. Counting to 99 in 5s, starting at any numbers, using the Easy Place Value Gadget. Lesson plan, templates and worksheets. 6pp. Worksheets counting forwards and backwards to 99 in 1s, 2s and 5s. 7pp. Counting forwards, backwards to 99 in 10s using the Easy Place Value Gadget. Lesson plan, templates and worksheets. 6pp. Worksheets counting forwards and backwards to 99 in 1s, 2s, 5s and 10s.